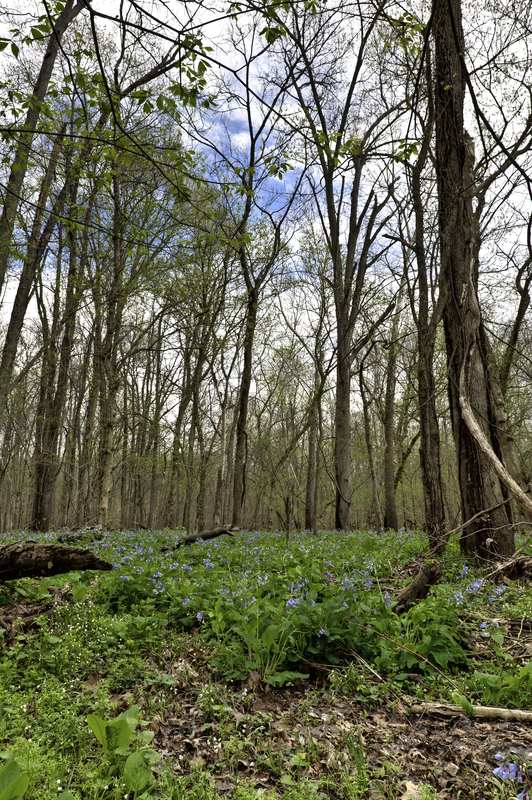 Since it is raining here today and, therefore, not a day to be outside shooting photos, I processed my photographs from Wednesday afternoon at Merrimac Farm Wildlife Management Area. The bluebells had reached the peak of their brief flowering period for this spring/year. 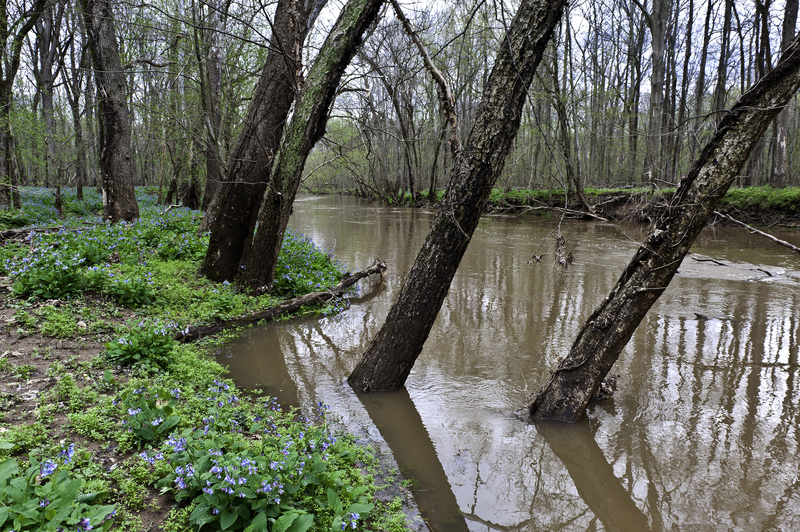 Many of the photos from Wednesday are different from my other recent visits to Merrimac to shoot the bluebells, because the clouds opened up to allow a little sunlight, and there was blue in the sky instead of gray clouds. Of course, the blue sky only appeared as I was leaving, but I managed to get some shots with the blue sky in the background. Also of interest was a single bluebell plant with white flowers. 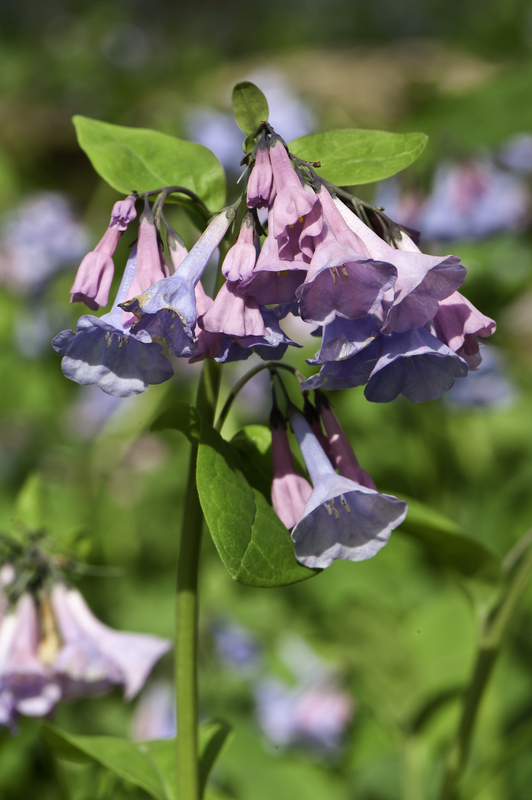 Virginia Bluebells with white flowers are very rare. I did see several bluebell plants with pink flowers among the many thousands of blue ones, but only one with white flowers. Unfortunately, the bluebell plant with the white flowers was not a very full or large plant, but nevertheless, it was exciting to see at least one. I created a new gallery on my website for Wednesday’s bluebell photos. The gallery is located at: http://stabone.com/p50310920 The bluebell plant with the white flowers is last photo in that gallery. Below are a few of the photos from that gallery.